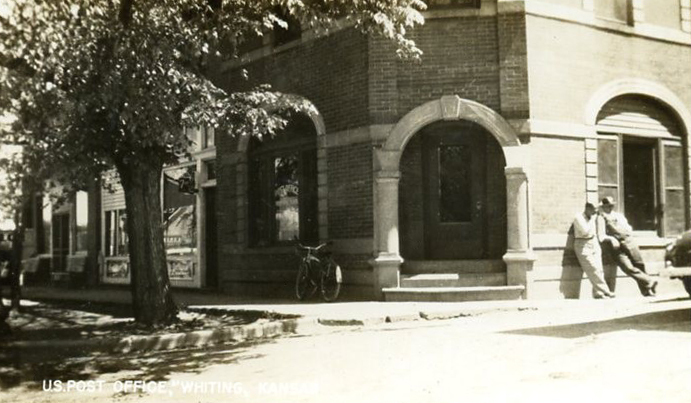 Now here is a small town post office, in Whiting, Kansas, one square mile of a town, with 206 people as of 2000. 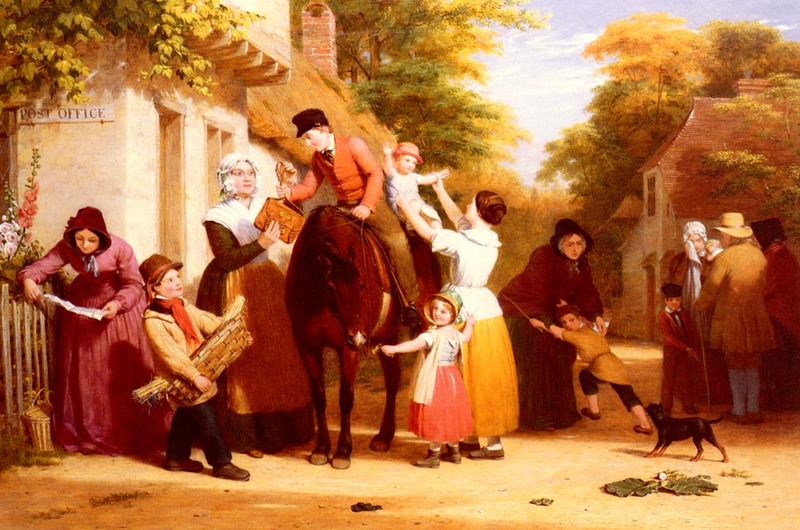 I of course love the man lounging in his cap and overalls, but it’s the tree and shade that haunt me. 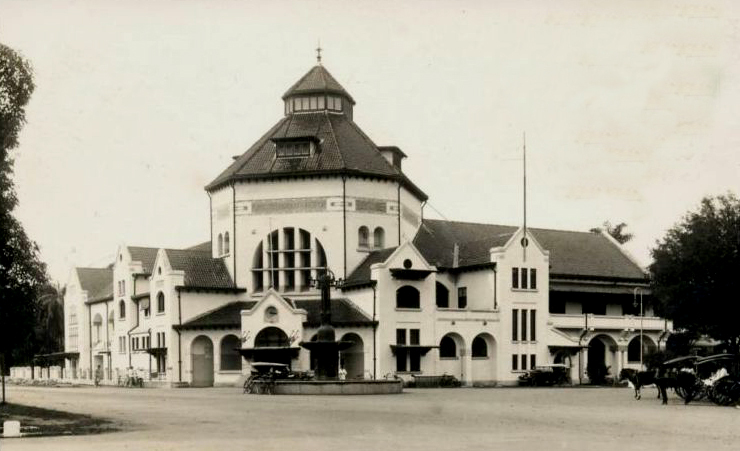 A touch of Dutch flair in Medan, capital of the province of North Sumatra, Indonesia, in the 1930s. 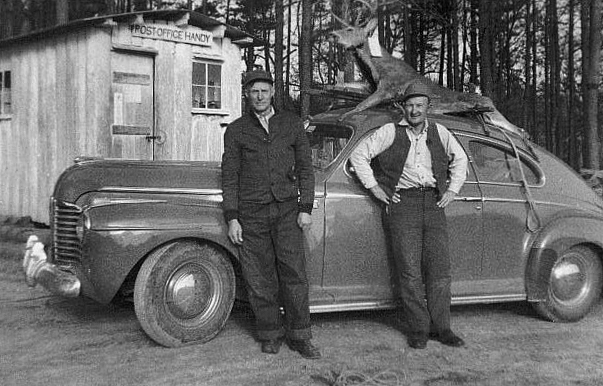 Two hunters pause for a photo before posting a deer in Handy, Missouri, the closest town to the Mark Twain National Forest.